We custom make our rattles. We recycle the rawhide scraps left over from drum making. 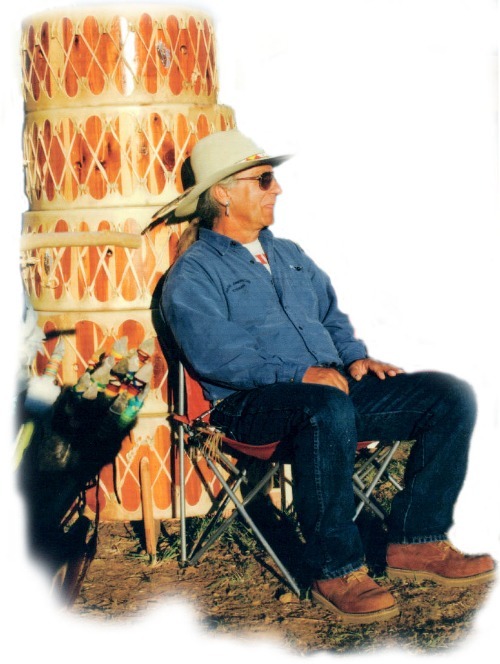 Just like Early Native Americans, we waste no part! 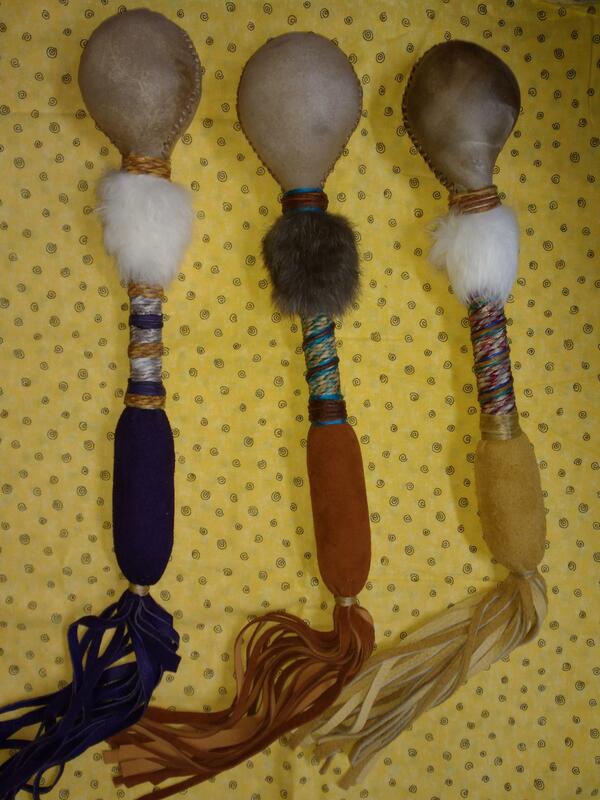 All Rattles have padded deer hide handles with fringe. Pick your leather color, add accent colors to make your rattle unique. Custom Rawhide Rattle Created Especially for Nina. White Leather Padded Handle. Colorful, Sparkly Accents.